In a former job, I covered every awards show there was from the Oscars to the Emmys to the People’s Choice. I also covered the Grammys but was never particularly good at it. In fact, one year I passed up an opportunity to interview an up and comer and best new artist nominee named Adele on the red carpet because I don’t want to miss my chance to chat with Cameron Mathison! It somehow made sense at the time. Anyway, I relive this story because the 2018 Grammy Award nominations were announced earlier today and I don’t know who so many of these artists are. I’d probably pass them all by to get to Mario Lopez. (Full list HERE). But there are some familiar names if you scroll down far enough and they include Kelly Clarkson, Tony Bennett and even the Rolling Stones. My favorite competition will be Spoken Word because among the nominees are Carrie Fisher (The Princess Diarist), Bruce Springsteen (Born to Run), and Bernie Sanders and Mark Ruffalo for their recording of Sanders’ book Our Revolution: A Future to Believe In. I guess I’m most excited about the category of Best Musical Theater Album. 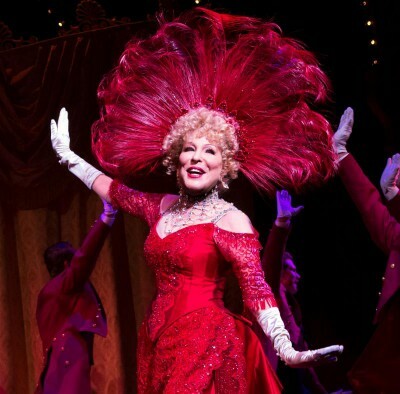 The nominees include Bette Midler & company for Hello, Dolly! who will compete against Come From Away and Dear Evan Hansen. Congratulations to the great cast of “”Hello Dolly” on their Grammy nomination for their delicious cast album. I am so proud to be among them. What a fabulous ride!! !